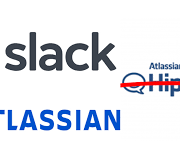 Last week, Slack announced that it is acquiring rival chat/messaging software programs HipChat and Stride from Atlassian Corp. This kind of M&A activity is not unexpected as the industry continues to grow and moves from being an SMB focuses product towards something that an enterprise with many hundreds or thousands of employees utilize. It is very similar to what is happening in other SaaS markets. Hosted PBX, Unified Communications as a Service, and Communications Platform as a Service markets have all gone through lots of M&A as they have matured. In this case, Slack acquires customers, marketing share, some technology. They also remove a competitor from the landscape as it prepares to battle with Microsoft and their Teams product. For those of us not participating in the battle of the behemoths but still use or provide messaging products, this doesn’t mean much. Smaller providers will continue to be nimble, with the ability to be more responsive to customer needs. We will continue to provide new and innovative features. We will meet our customer demands long in advance of these giant companies. 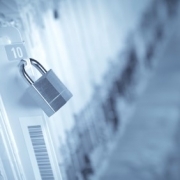 For example, MessagePro began adding HIPAA compliant features long in advance of Slack. 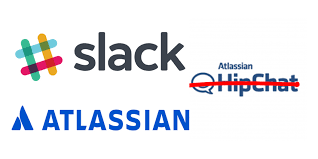 In fact, Slack did not add these features, but ( according to https://www.compliancejunction.com/slack-hipaa-compliant/) instead released a new product called Slack Enterprise Grid using an entirely new code base. So other than sharing the name, it really isn’t Slack at all. For those who might be using these products, it just means less choice. Taking out a competitor is good for Slack. “There’s fewer choices for people,” said Stewart Butterfield, co-founder chief executive officer of Slack Technologies Inc. The M&A and high corporate drama will continue. In the meantime, we will continue to listen to customers so that we can develop the innovative features you need. We also provide the expertise and personal service you need to best deploy products to meet your needs. Please visit https://www.messagepro.com/products/secure/ to learn more.